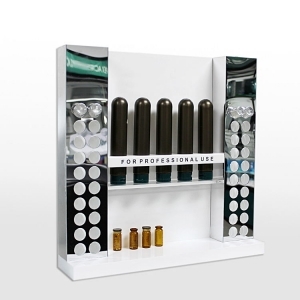 The acrylic perfume bottle display stand is in white color, two tiers design can hold more than 70pcs perfume bottle. Customized logo printing is available. 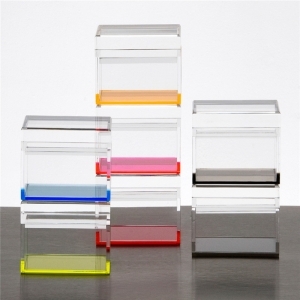 Each donation holder is made from acrylic and includes pre-drilled holes for wall or tabletop mounting. 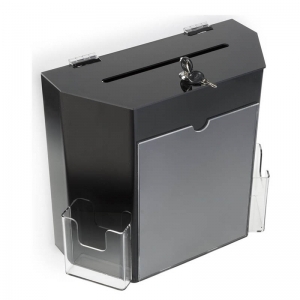 Each locking suggestion box has a slotted lid for easy deposits of suggestions or votes. Many businesses use the unit as a donation holder for office coffee funds, small charity initiatives, and more. 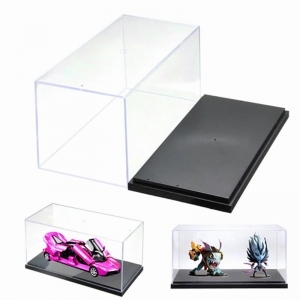 Alternatively, the acrylic container is also great for depositing raffle tickets and contest entry forms. 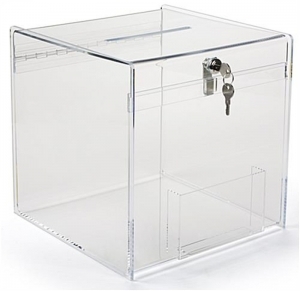 The suggestion box features a set of two keys, so that users can feel secure leaving the contents of this suggestion box unsupervised. 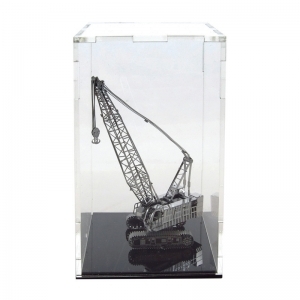 Each unit includes all the hardware needed to secure the holder to a tabletop or wall. This raffle drum has a strong acrylic base with rubber feet. The acrylic lever is easy to turn and use. 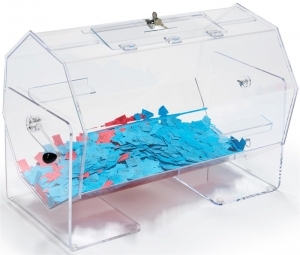 This large-sized raffle box like most of our other raffle drums features a "pin lock" that holds the spinning drum in place for convenience when inserting tickets and opening. The drum is fabricated from 1/8" and 3/16" thick acrylic. 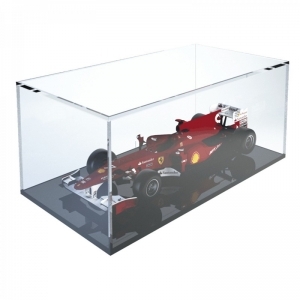 This raffle box is ideal for corporate functions. 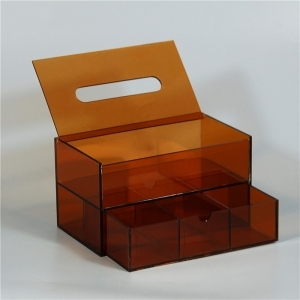 This wholesale acrylic donation storage box with lock is made by a professional manufacturer which is specialized in producing all kinds of acrylic products 20 over past years focused on acrylic. 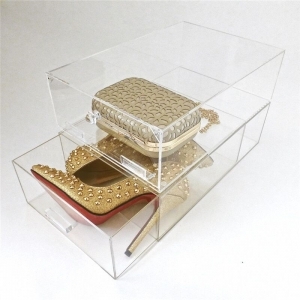 We use best material to make acrylic shoe storage box more transparency, if you are interested, kindly contact us. 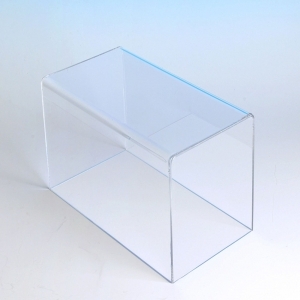 The acrylic shoe display is differnet and designed as a drawer. Put your shoe in, and close it. 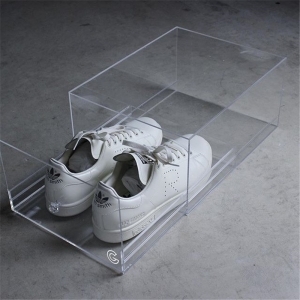 Two tiers clear acrylic shoe display case is a good collection for shoes at home. 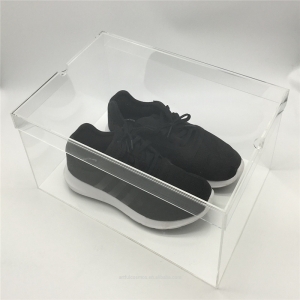 If you want to store your shoe from dust, pls choose this transparent acrylic nike shoe display box. 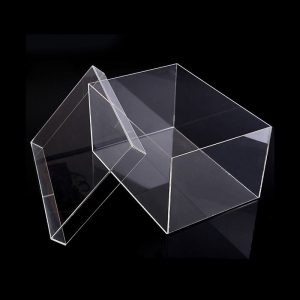 This clear acrylic rectangle storage box with lid is a good collection for candy, toy and some other household products. 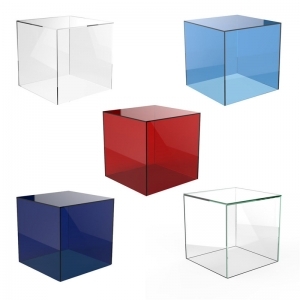 Those colored mini square acrylic favor gift box has different color base like red, blue and black. Which one you prefer? 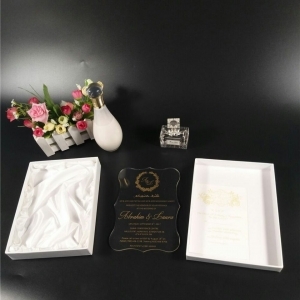 The small custom plexiglass acrylic rectangle box has different color like clear and white, black. Size can be customized based on your request.